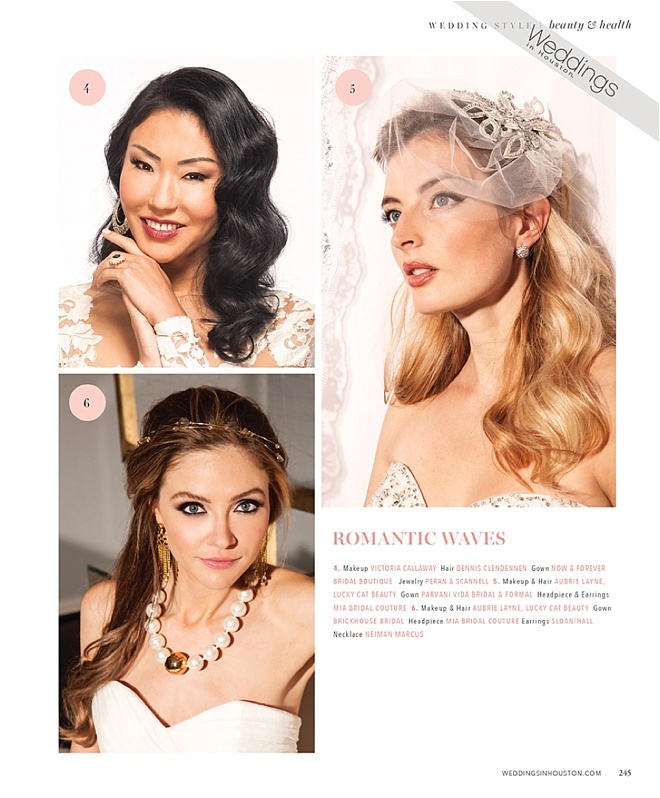 Coco Chanel said it best, “A girl should be two things: classy and fabulous.” This is so true—especially when it comes to our lovely Houston brides, who always look elegant. 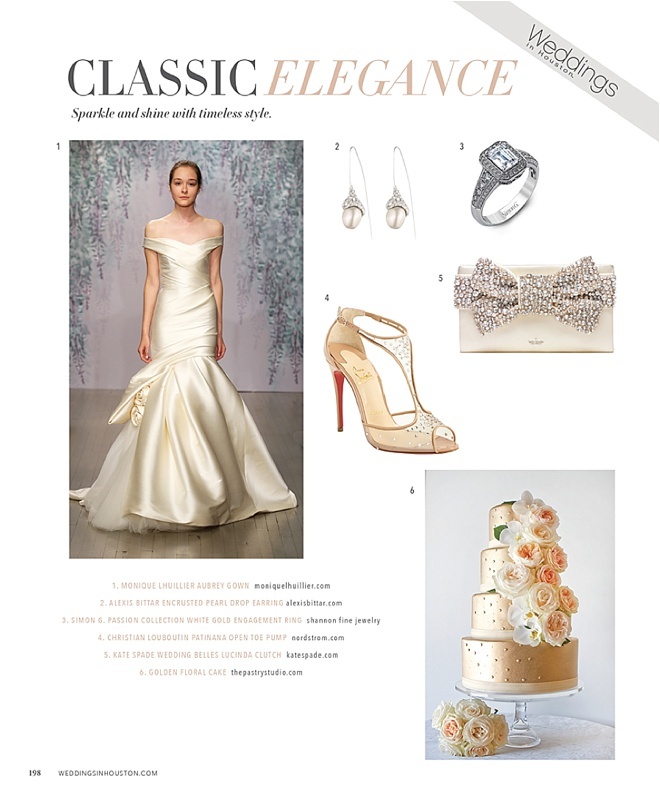 Inspired by our local brides, we picked out a collection of key pieces you’ll need to achieve a timeless, elegant look, including a chic ivory Monique Lhuillier gown, a bow clutch and a pair of sparkly Louboutins. Sounds lovely, right? You can get your hands on these fab items at fine local Houston fashion retailers. 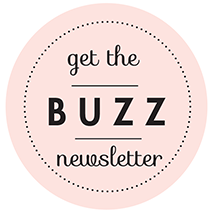 Happy shopping, xo! You’ve found the one. Now, it’s time to send subtle (or not-so-subtle) hints and seal the deal with a unique ring that speaks true to your style. 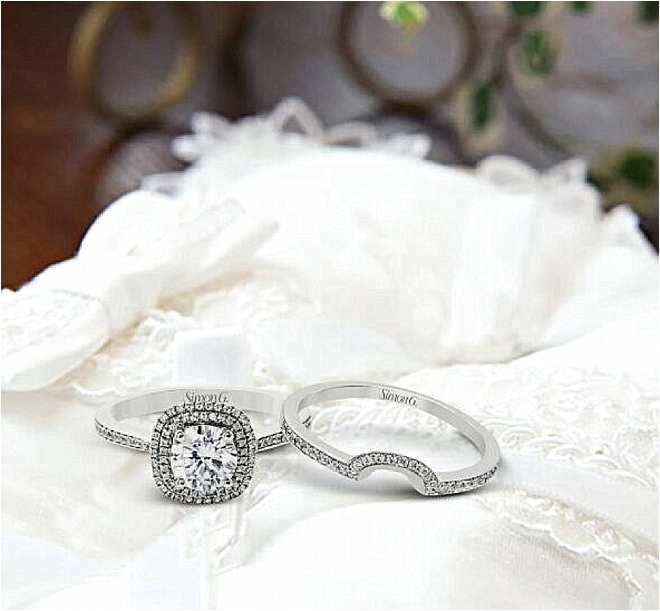 We handpicked stunning one-of-a-kind engagement rings that’ll have everyone swooning, for sure. P.S. 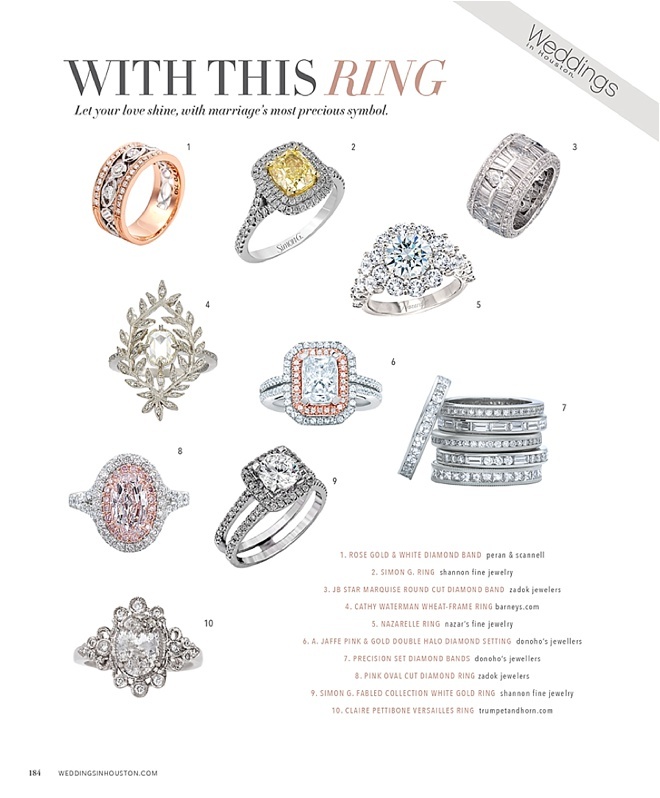 We’ve got news for you—you can try on some of these rings at local Houston jewelers! You can thank us later. Happy shopping, y’all. 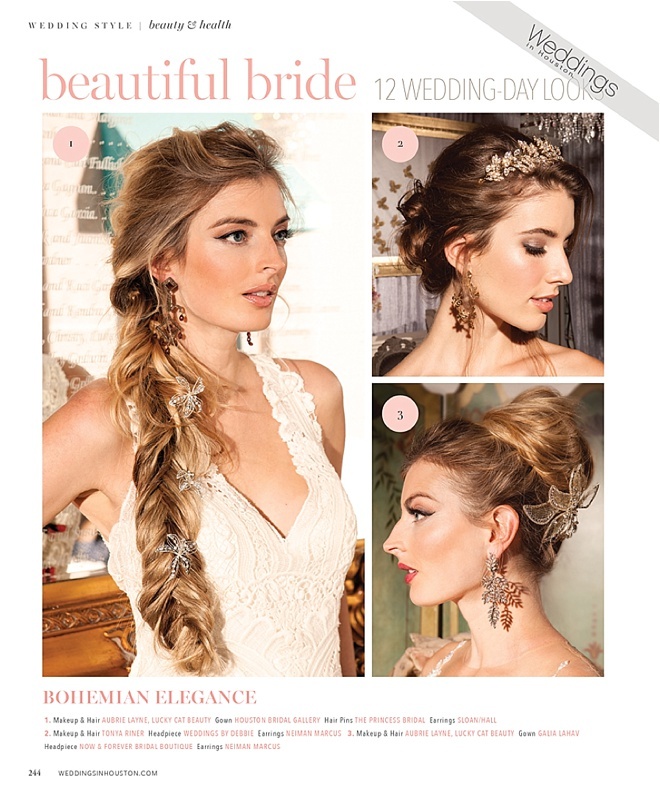 Whether you’re a boho bride that loves romantic waves, or a bold bride that’s not shy to make a statement—we’ve got you covered. 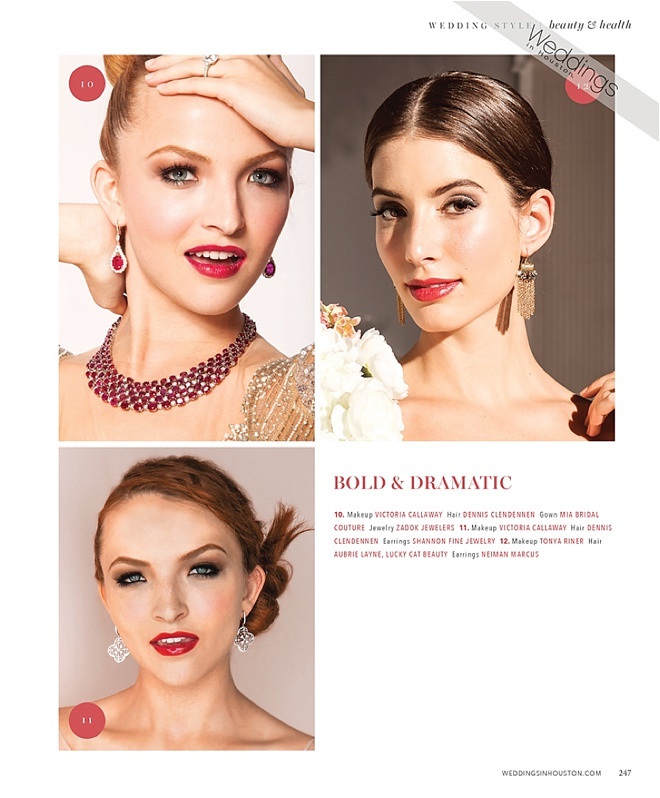 We picked our top twelve fave hair and makeup looks paired with accessories from this season’s hottest trends. 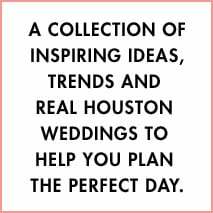 You can see more bridal fashion and meet Houston’s beauty experts at the I Do! Soiree on Thursday, February 4 at The Corinthian. Trust us, you’re not gonna want to miss out on this VIP party! Get your tickets NOW before they sell out! The Christmas season means different things to different people, but for many of us, the holidays evoke thoughts of warm fireplaces, spiced eggnog and colorfully wrapped gifts placed beneath the tree. All of the season’s built-in festivities and feel-good vibes also make December the ideal time to get engaged. Whether one or both of you will be involved in the ring choosing, Shannon Fine Jewelry will make engagement ring shopping WAY easier—and a lot more fun—than you may think. In fact, all you need is a few short hours with one of their caring consultants to find and size your perfect ring before it’s all yours to take home. Prefer to surprise your sweetheart with a completely original, custom-designed ring? They can do that, too! And it just so happens, Shannon Fine Jewelry has a few GREAT deals going on right NOW. Anyone who purchases an engagement ring between December 1 and Christmas Day will receive a whopping 30% off a future wedding band purchase for both to-be-weds (Yes. Really.). PLUS, one engagement-ring-purchaser will be eligible to win the full price of that engagement ring (up to $5,000 store credit)! 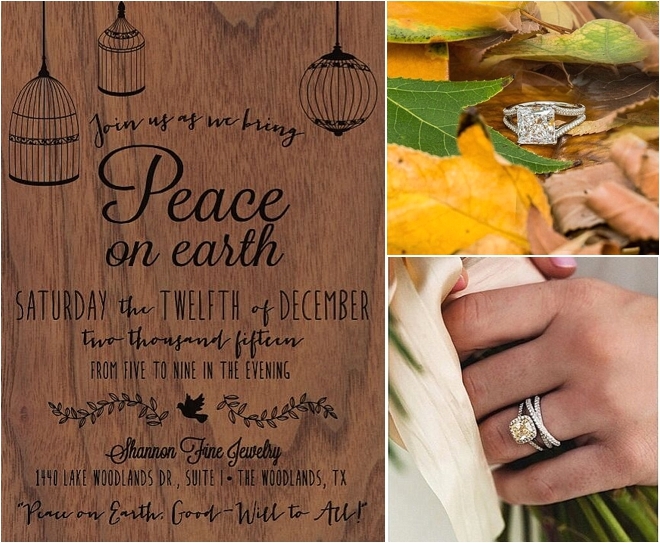 For all of you WIH readers, Shannon Fine Jewelry is sweetening the deal even more: receive an additional 10% off all engagement ring and wedding band purchases THIS WEEK through their annual Christmas party on December 12. Do yourself a favor, and head over to Shannon’s luxurious Lake Woodlands location this Saturday with your one and only for a fabulous date night. 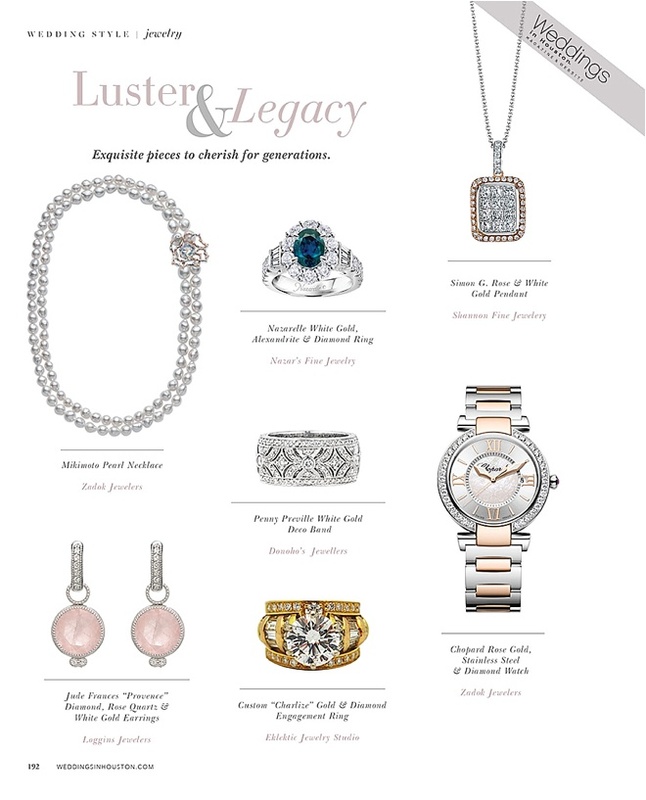 Browse their exquisite diamonds, colored stones and intricate designs together--all while sipping bubbly and sampling delish bites. Simple, no?